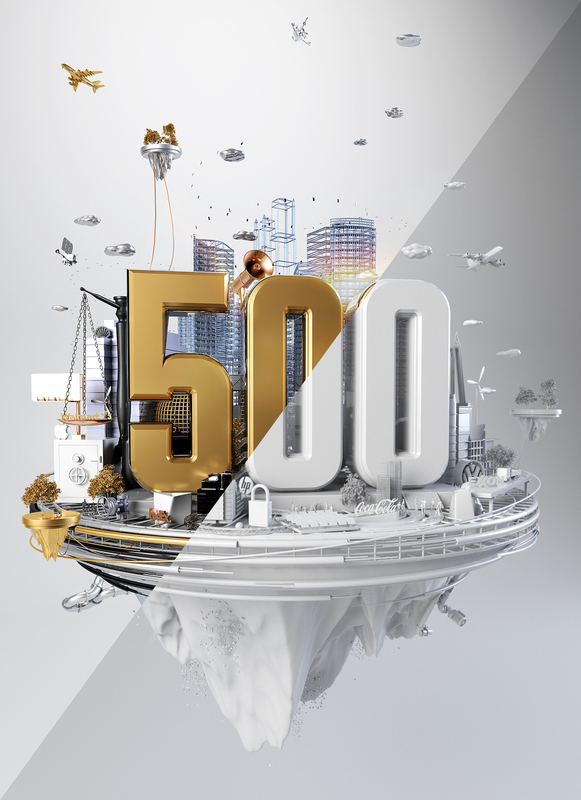 CGI cover Illustration for the Global 500 in Fortune Magazine. Volume 172, August 2015. 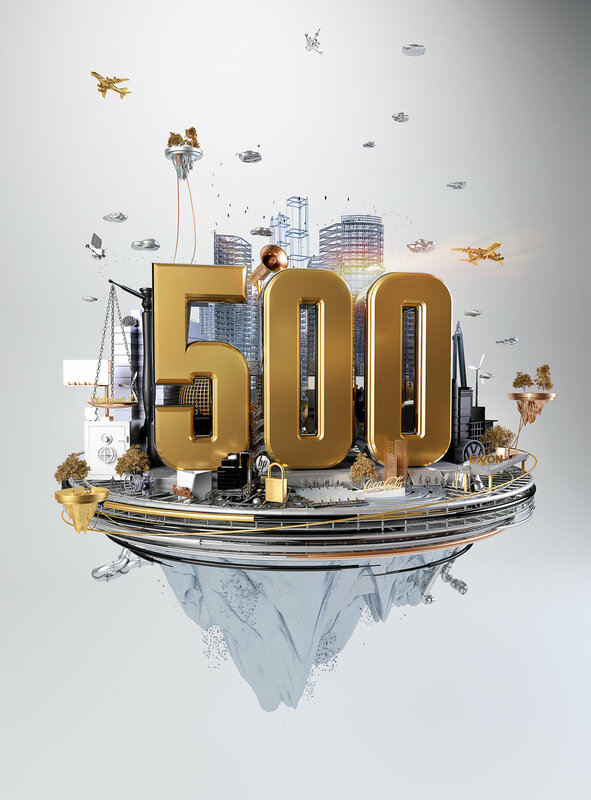 The Global 500 is an annual ranking by Fortune of the top 500 corporations worldwide as measured by revenue. I was asked to design a cover for this global list that would be featured on the cover and inside the magazine. The concept chosen for the cover was to create a cool floating planet as a centrepiece that gives centre stage for the bold '500' typography to sit in. Revolving around the world are various elements such as iconography of the business world, everyday objects, construction, people, ideas, inventions and company logos all coming together creating a busy interesting Global 500 world that is visualised as a futuristic device at the heart of the cover.